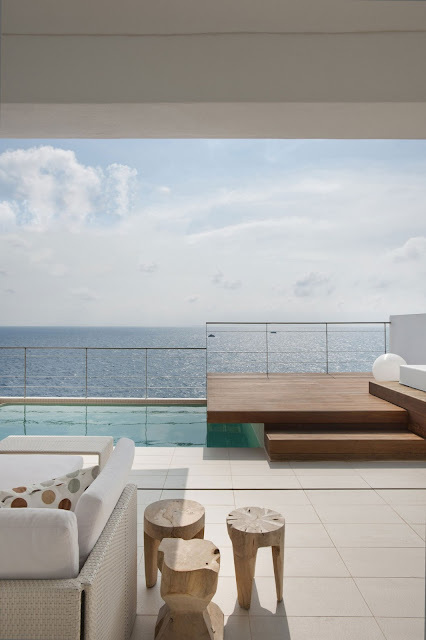 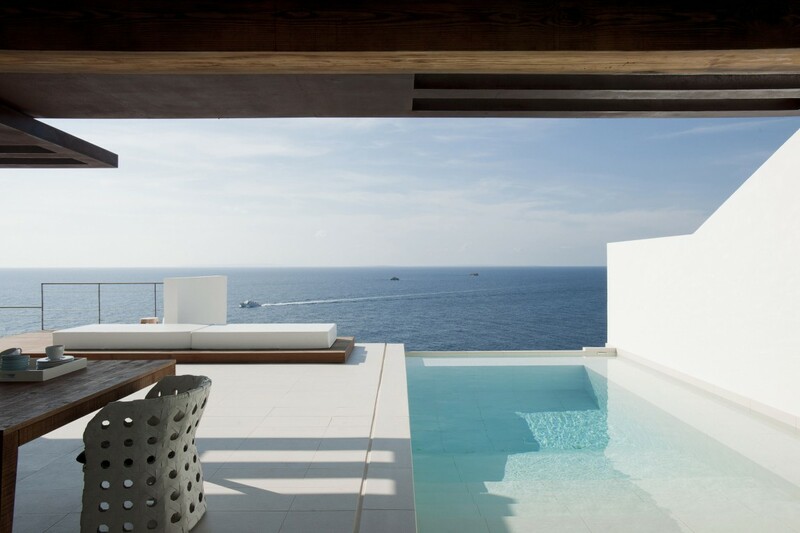 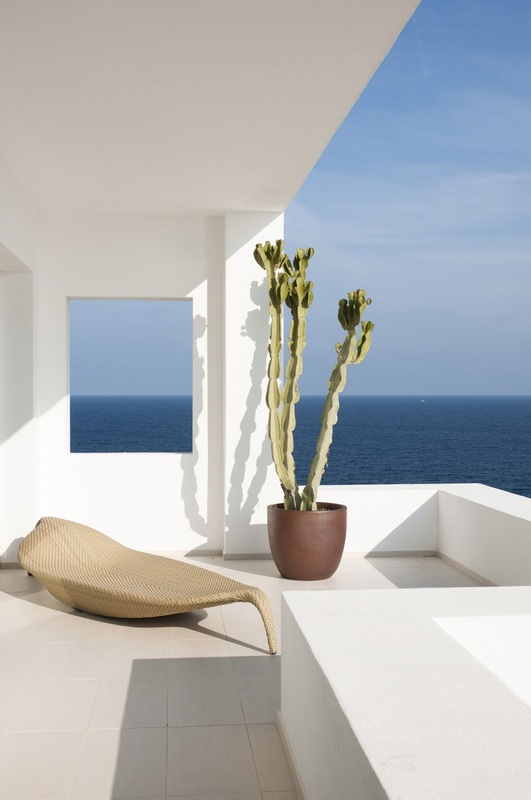 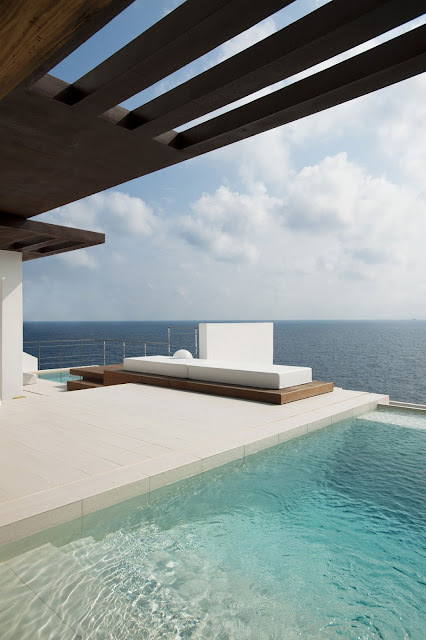 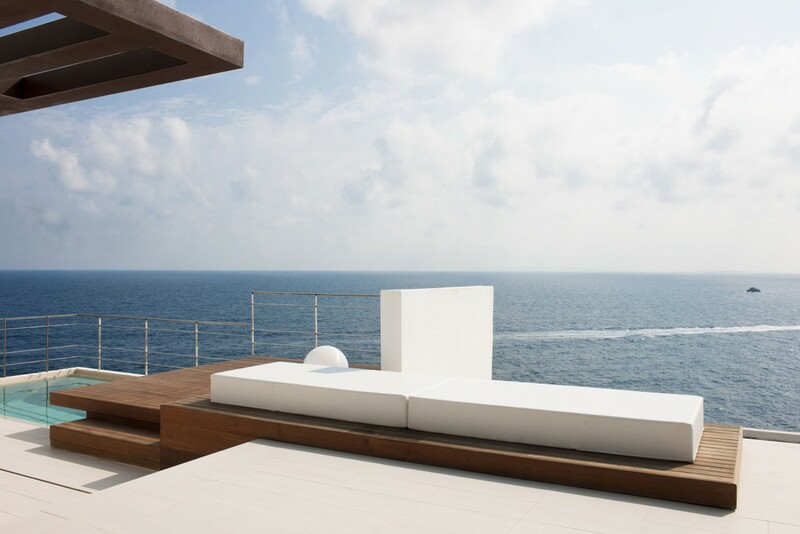 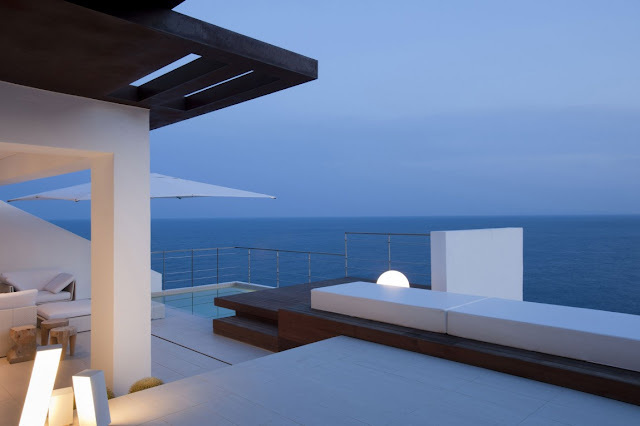 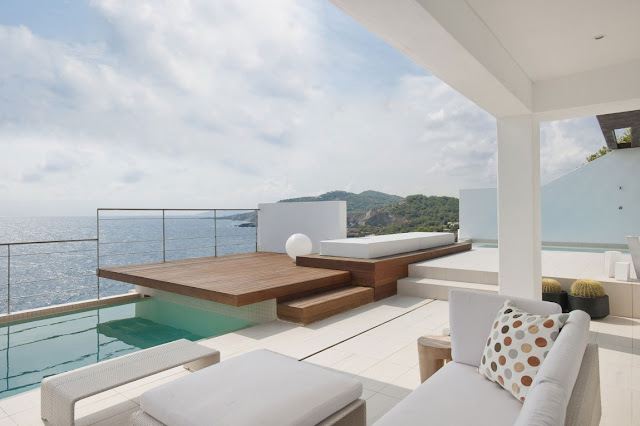 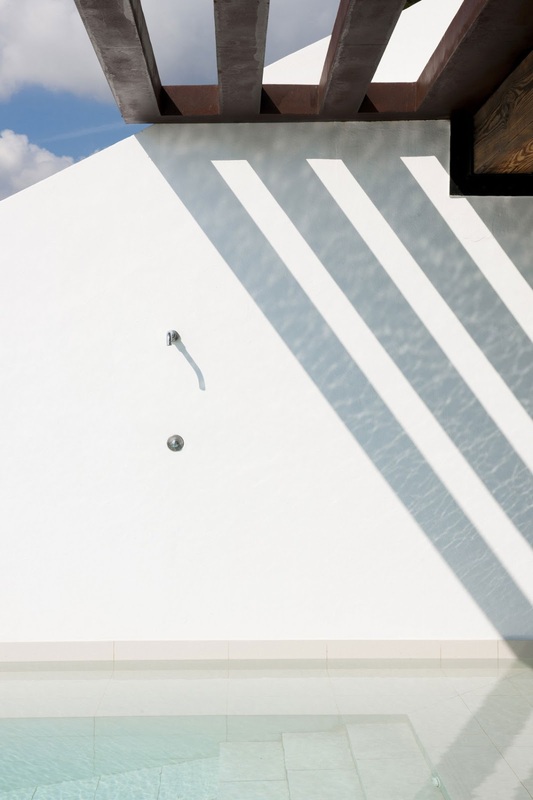 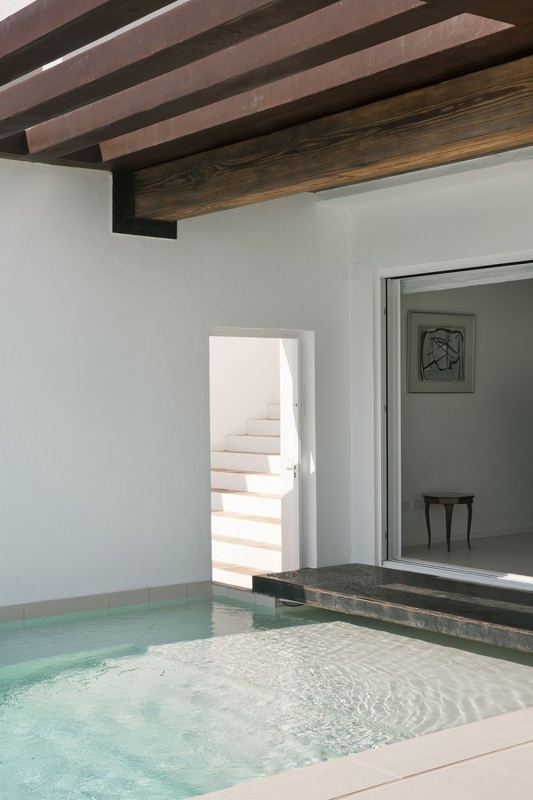 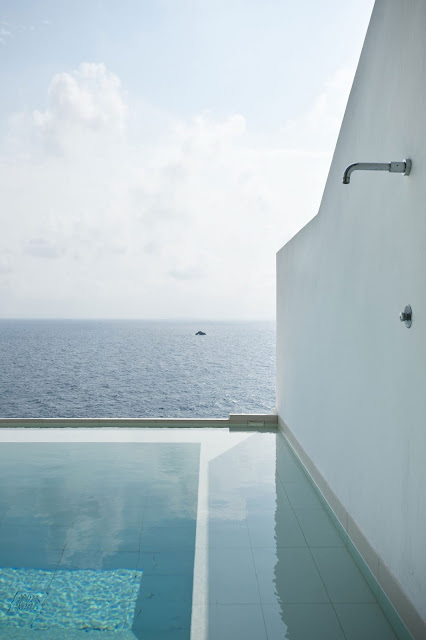 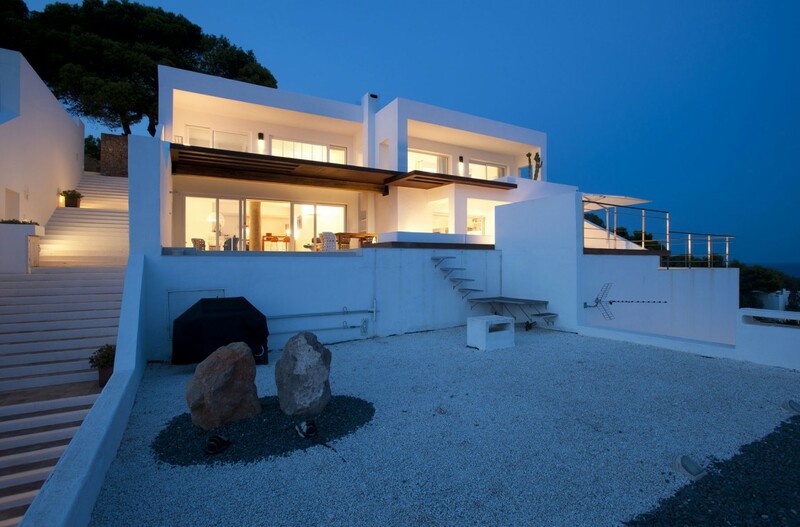 This summer house in Ibiza, Spain, designed by Belgium based Juma Architects, features various outdoor spaces, decks and terraces to enjoy panoramic views to the Mediterranean sea. 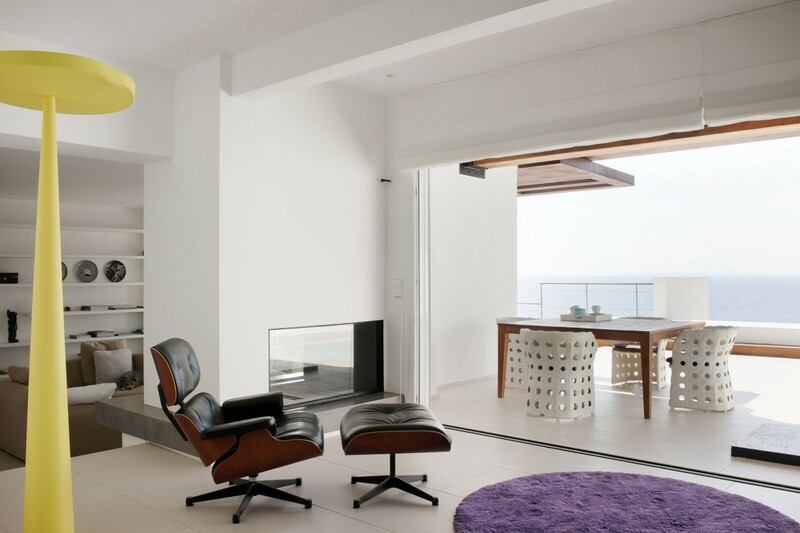 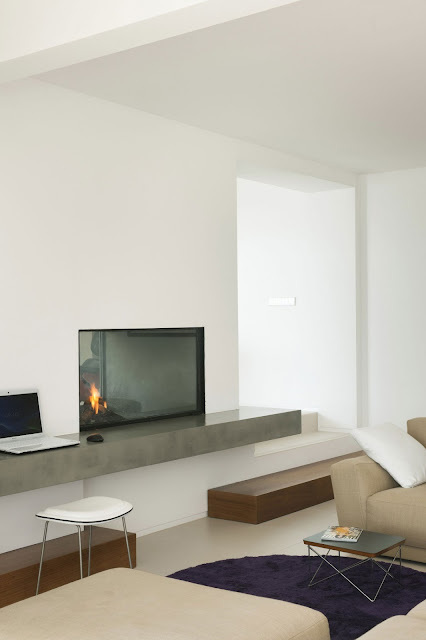 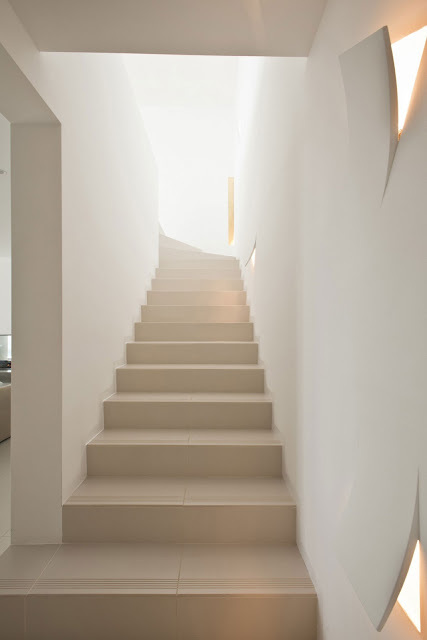 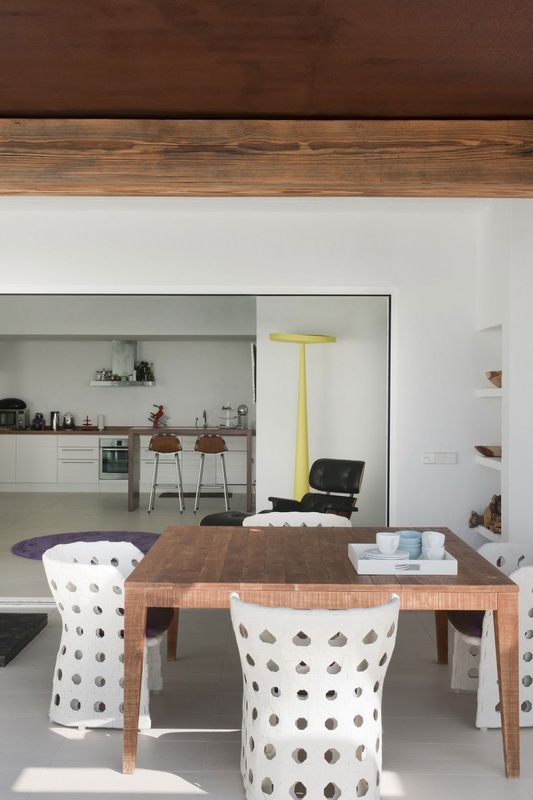 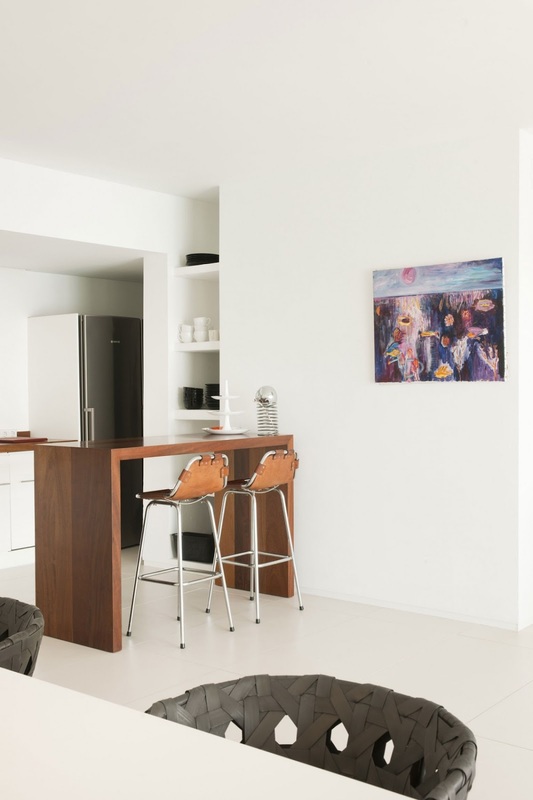 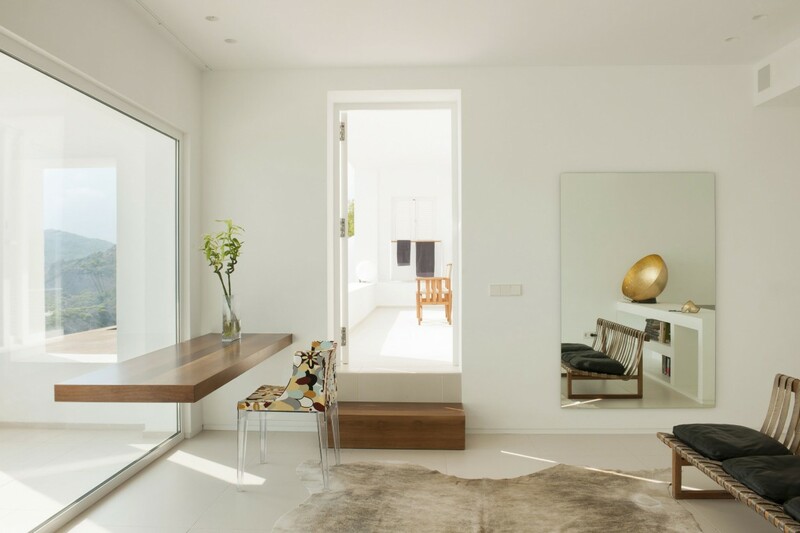 Interiors are defined by minimal, clean lines and neutral color tones. That is why you can close or shut off to bedrooms on the first floor. 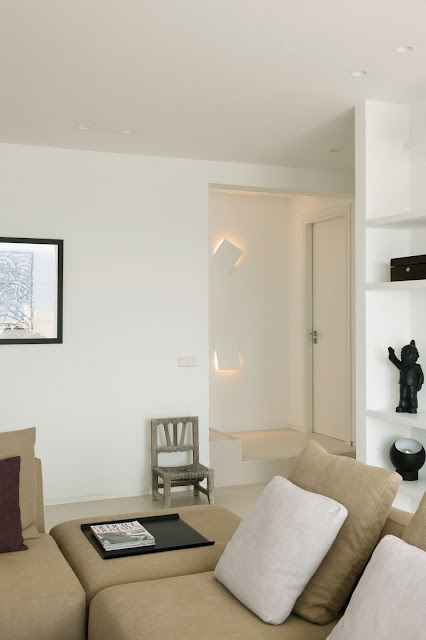 When there are only two persons living there, they can use the hole first floor of one of the buildings as one room. 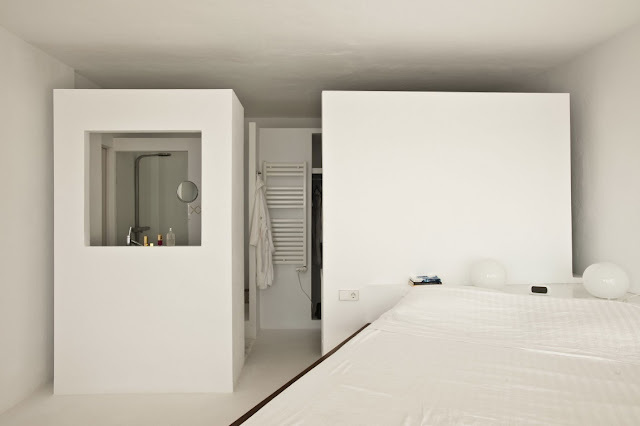 That room has a bathroom and a bureau. When there are more rooms used, there is a big removable wall in the master bedroom to separate the room from the hallway.